There’s barely any type of business these days which is free from technology. If you run any form of company, then tech more than likely plays a decisive role. How would your business cope without emails, or its website, or your spreadsheets? As a result, IT has become misunderstood. An IT professional is regarded as nothing more than a computer handyman. Is the company intranet refusing to talk to the internet? Call the IT guy. Is the main server running low on capacity? Call the IT guy. Has a crucial Excel macro stopped running since January 1? Call the … well, you get the picture. Except … well … how does a company send emails to external clients without access to the internet? How do crucial systems run if there is insufficient disk space? How does BAU continue if Excel macros won’t? Isn’t IT kind of, important? A handyman is someone who fixes annoyances. Someone who maintains crucial systems is a technician or an engineer, yet when it comes to IT, a firm’s IT department is seldom recognised as a crucial business component. It’s not surprising that in the UK sitcom ‘The IT Crowd’ the IT department is located in the basement. When it comes to the upper echelons of any major firm, the senior management team is made up of the business version of the holy trinity – the CEO, the COO and the CFO. That covers operations, management, marketing, sales and finances, but what about the core engine that physically enables most businesses to operate – namely the technological infrastructure? The person in charge of IT is usually known as the Chief Information Officer or the Chief Technology Officer. It’s a role that largely involves fighting the company’s finance department to syphon some cash away from sales and marketing and actually spending it on IT – and usually unsuccessfully. 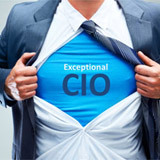 As a result, the demands of the CIO or CTO are seen as nothing but annoyances. Yet companies who do not invest enough in their infrastructure leave themselves open to hacker attacks that can destroy them. Take the example of Ashley Madison – the online-dating service for people already in relationships. Their infrastructure was so underfunded and lacking in sophistication that they listed credit card transactions in unencrypted text files on an insecure server. They were hacked, and suddenly intimate details of millions of people were in the hands of joyful hackers. The business world needs to start taking IT as seriously as it does its finances. Those ‘IT Crowd’ characters should no longer be left to fester in the basement – they deserve to be an integral part of their company’s BAU and advancement strategies. Companies who fail to invest in their IT department will soon start lagging behind companies that do.